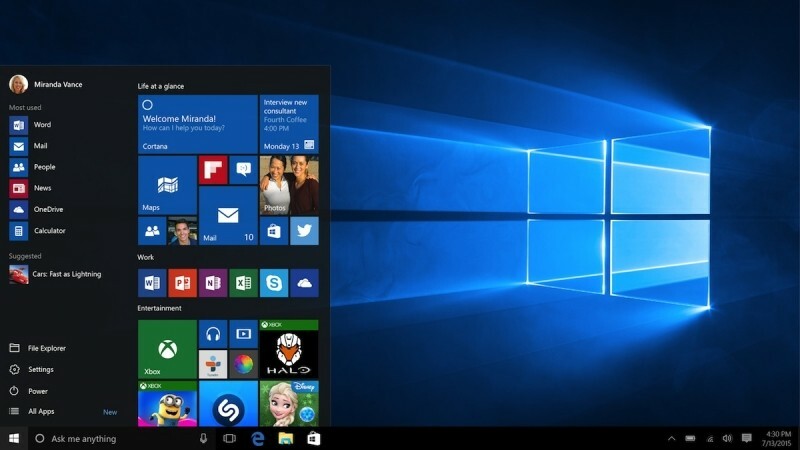 Microsoft reveals default Windows 10 wallpaper: your thoughts? Microsoft is hard at work putting the finishing touches on Windows 10 but one aspect has already been decided. The Redmond-based company on Thursday revealed its new “hero” desktop image, the default background you’ll see when installing the new OS. There’s an awful lot riding on the success of Windows 10 and perhaps fittingly, the Redmond-based company went to great lengths to craft what it believes is the perfect default background image for Windows 10. Microsoft commissioned Bradley G Munkowitz to come up with the image which he describes as a portal that allows us to look into space. As creative director of the project, Munkowitz used a wealth of techniques including camera mapping, lasers and lens flares to create an image that’ll eventually be seen by millions (if not billions) of people over the coming years. The end result is admittedly something quite different compared to what we’ve seen in the past. Perhaps the most iconic of all is Bliss, the image of a rolling green hill and blue sky captured by former National Geographic photographer Charles O’Rear that shipped with Windows XP. Predictably, reactions to the image have been mixed at best. What are your thoughts on the Windows 10 hero image? Will you leave it be or immediately replace it with something else? Let us know in the comments section below.